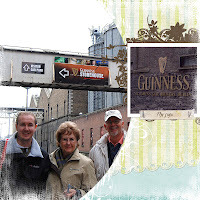 My Wandering Soul...: Digi Layout - Guinness! I miss my scrapbook supplies! Our moving journey is going very slow, we hope to move into our new house late next week! But, I wish I could play with my scrapbook stuff today... I recieved the new Spring 2009 CTMH catty this week and there is some really nice things, I can't wait to share!!! Anyways, since I can't participate in the challenges and such that I miss dearly... I decided to make a digi page :) I haven't done digi layouts in months and simply needed some refreshing. I took Jessica Spragues classes this past year and so I decided to pick back up where I left off... still a few classes behind, LOL. 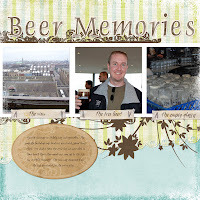 Anyways, here is my layout I made from our afternoon at the Guinness Storehouse in Dublin (from February) I am still working on my digi book from that trip :) I think this is page 10 & 11... Anyways, enjoy!